Job sites vary in shapes and sizes. But even the smallest spaces require the highest standard of safety. 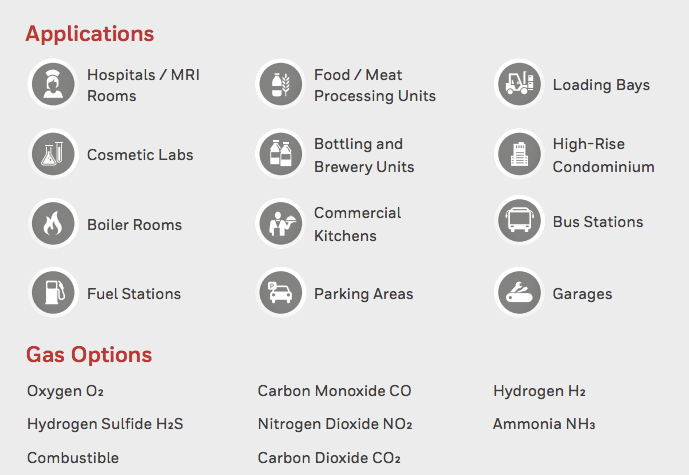 Think garages, workshops, modules, or confined spaces. Think remote locations, unsuspecting offices, parking lots, buildings and more. When it comes to hidden gas hazards every location is suspect. It’s the role of leadership and management in corporations to ensure gas safety is a top priority. Considerations for gas detection devices vary. With many options and variations, safety officials need to ensure they are getting the kind of gas detection products that are specific to their individual needs and delivers on ensuring the well-being of their workforce. Designed to work across multiple industries, Touchpoint Plus’ modular architecture enables you to customize your system to meet your specific application requirements. Large touchscreen LCD Built around its intuitive, ergonomic touchscreen, Touchpoint Plus is designed for ease. From here operators can configure, operate and maintain their gas detection system simply and efficiently by simply touching the screen. The multilingual interface simplifies operation, reducing training requirements and costs. Real-time data is presented in an easy to navigate menu system, whilst historical data can be downloaded to monitor developing threats. When fast and informed decisions need to be made, Touchpoint Plus’ full-colour traffic light style status indicators provide clarity from a distance allowing operators to see system status at-a-glance and make time-critical decisions easily. Made of high-impact polymer plastic, Touchpoint Plus is versatile and durable. It is dust-proof, water-proof and has been tested to withstand the toughest environments in which our customers operate – indoors and out. Touchpoint Plus can be directly wall mounted, or for an easier 1-man installation there is an optional mounting plate. Behind the hinged front cover, there is plenty of space for wiring and a unique tiered terminal arrangement for easy access. Cable entries are pre-drilled and sealed ready to use, further reducing installation time and cost. Touchpoint Plus provides a reliable safety solution for small-scale gas detection systems across a wide range of applications and industries. 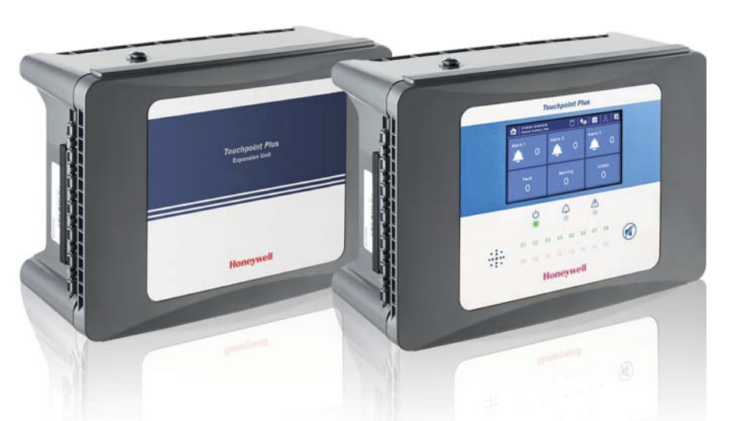 As the heart of your gas detection system, Touchpoint Plus is designed to work with Honeywell’s industry-leading gas detectors and drive actuators, audible and visual alarms to provide a complete end-to-end, highly configurable safety solution. The Touchpoint Plus gas detection is an easily configurable, wall mounted control system that supports up to sixteen channels of gas detection. 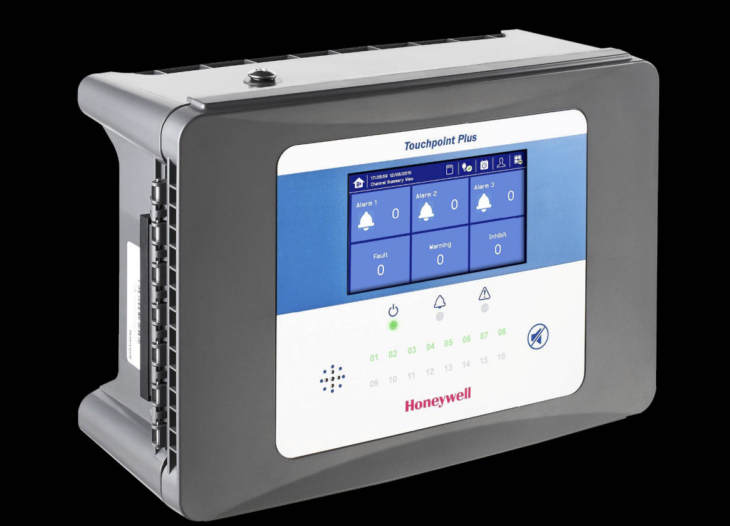 Its intuitive user interface and modular approach enable you to take control of your safety system and configure it to meet your needs for a wide range of applications. Sensepoint XRL is a fixed point gas detector with Bluetooth that allows the user to connect the gas detector to a smartphone or tablet running the Sensepoint gas detector app. Sensepoint XRL is available as a flammable gas detector for the detection of potentially explosive gases or as a toxic gas detector for the detection of a range of toxic gas hazards commonly found in industrial applications. Winner of both iF and Red Dot design awards, Sensepoint XRL is designed with simple and quick installation in mind. And for initial calibration, all you need is our Sensepoint App on your smartphone and a cylinder of calibration gas — no need for walkie-talkie guidance with the control room. Use the Sensepoint App to create a profile for the detector, choose alarm set points, run test procedures and automatically generate a commissioning report, which you can send from your phone to other stakeholders or store for easy access in a safety inspection. No need for paperwork. 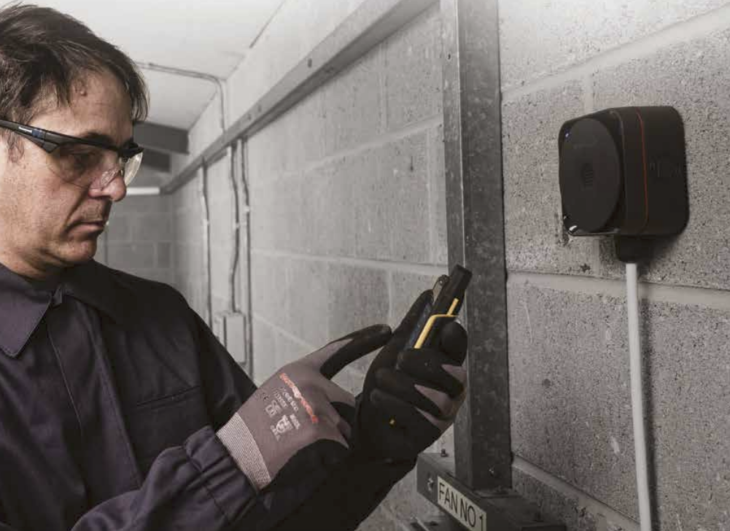 Sensepoint XRL’s smartphone-based experience significantly reduces the time you spend on gas detector maintenance. And when doing maintenance checks, our Sensepoint App puts diagnostic information at your fingertips. It has bright indicator lights visible from a distance, making it easy to locate a detector requiring maintenance. And the Bluetooth connection is non-intrusive so there is no need for a hot work permit. You can also save valuable time with easy reporting on the Sensepoint App. Whether you need a maintenance report for a certain detector or a gas history for a safety audit, just select the right report on the app and send it to other parties — or store it for easy recall. For a complete gas leak detection system, Sensepoint XRL has the perfect partner in Touchpoint Plus, a configurable, easy-to-use controller for up to sixteen channels of gas detection. Sensepoint XCL is a fixed gas detector that delivers the safety and compliance you expect. It was designed especially for commercial and light industrial applications, delivering just the right amount of functionality to protect people on your premises and ensure compliance with regulations. 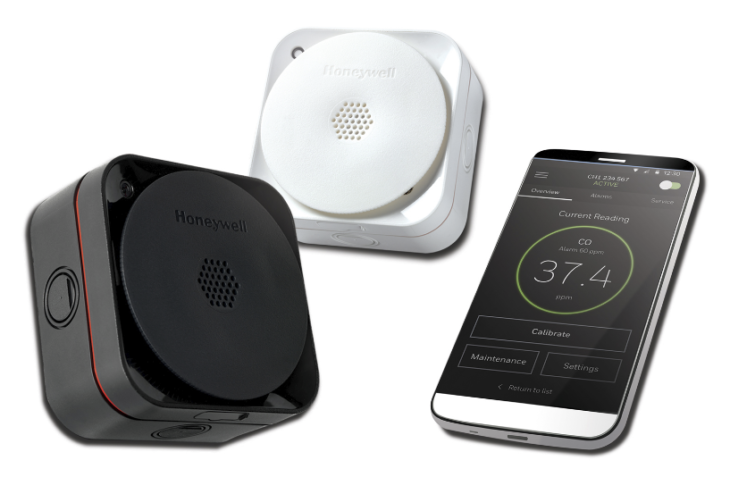 Sensepoint XCL combines a simple yet robust mechanical housing with a gas detector app, so you can use everyday technology to set up and maintain your gas detector — and quickly get back to business. Sensepoint XCL is available as a flammable gas detector for the detection of potentially explosive gases or as a toxic gas detector for the detection of a range of toxic gas hazards commonly found in commercial premises. YES, I would like more information on EnviroMed Gas Detection solutions.